Building Fire Breaks in the Australian Forest. Also known as a fuel break, fire line or fire road, fire breaks are combustible materials such as vegetation gaps which act as barriers to stop or slow a wildfire or a bush fire’s progress. Fire breaks sometimes naturally occur when there is a lack of fuel or vegetation such as a canyon, lake or river. Fire breaks can also be built by man and many also serve as roads such as a highway, secondary road, four-wheel drive trail or logging road. 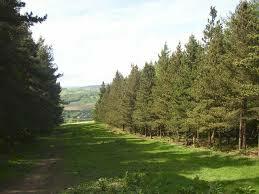 Firebreaks are developed for a broad range of purposes when used in the natural environment. Each of these purposes will be determined by the fire protection bush needs which can be determined by the combination of the risk of ignition, density, vegetation type, slope, soil type and capabilities of fire suppression responses. Some fire breaks are designed for restricting a fire from entering the area or property while others are designed for preventing the escape of the fire. In Western Australia’s northern area, there exists protection for larger areas through the strategic placement of aerial burned fire breaks of between three hundred and one thousand metres. Just like fire breaks in grassy areas, a forest fire break has many purposes. These protect valuable Australian forests through the prevention of the fires from entering. In addition, fires are prevented from leaving by fire breaks that are designed to protect the neighbours. When undergoing firebreak construction, the main objective is to remove the undergrowth and deadwood to mineral earth. Different techniques are utilized to get this done. Ideally, fire breaks will be maintained and constructed according to sustainable forestry established practices. Generally, the goal is to maximize the firebreak’s effectiveness at slowing down the wildfire’s spread. Through the use of a fire break with good density and sufficient size, it is hoped that a wildfire’s ultimate size becomes reduced. It is also important when constructing fire breaks, to be aware of what may be lying under the ground, to avoid causing damage to underground assets when you build it or clear it. © 2019 Mansfield Plant Hire. All Rights Reserved.